Moosomin RCMP are trying to identify the man in this photo. 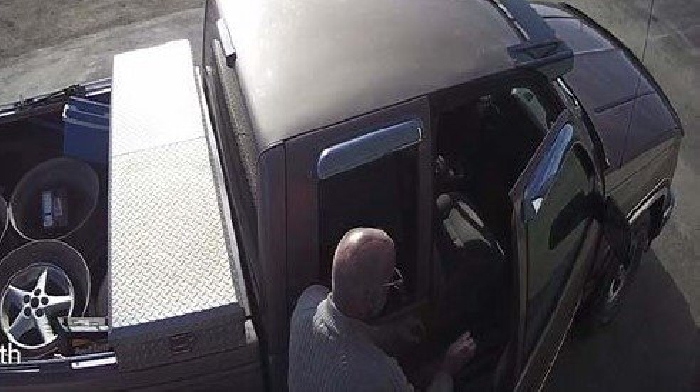 On September 30, 2018 at approximately 9:33 am, this man was observed on camera taking batteries and wheels and placing them in the back of a truck from a business in Moosomin. He appears to have a large scar on the top, right side of his head. Anyone who may be able to identify the man is asked to call Crimestoppers at 1-800-222-8477 to leave an anonymous tip. Those who leave tops may be eligible for a reward of up to $2000 if the tip leads to arrest or charge.